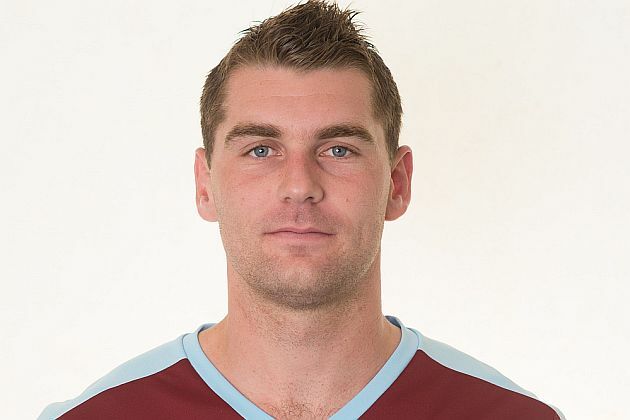 Yesterday, in the preview for our home game against Nottingham Forest, and looking back at the last time they played at Burnley when we blew them away with three goals in the first 35 minutes, I referred to the two goals Sam Vokes scored in that game following Scott Arfield’s opener. “Play it again Sam,” I asked and that’s exactly what he did last night, scoring the only goal of the game in the 68th minute to give us another three points to keep us in second place in the Championship. They were important points too with all of Hull, Middlesbrough and Brighton winning, and for Sam it was a fourth successive home league game in which he’s scored, equalling Andre Gray’s achievement earlier in the season. The goal probably came at a time when it looked least likely, but he finished smartly after Andre Gray and Stephen Ward had linked up well down the left with George Boyd allowing Ward’s pull back to go through his legs for the better placed Vokes who stroked the ball home with his left foot. It had been some time coming in a game where we probably should have been in front during the first half. I like midweek games. They are the one thing I really miss in the Premier League. Last season we had just one against Newcastle, discounting the move to Monday for the Chelsea game. Last night, after all the wind and rain we seem to have suffered for virtually every home game recently, it was a dry, crisp night that brought the need for the under soil heating to be switched on; it was either that or a new Pope had been elected given the white smoke billowing out at the side of the Bob Lord Stand. On the pitch, as expected, James Tarkowski was given his first start in place of Michael Keane who missed out for the first time this season because of the head injury he’d suffered in the first half of the win against Rotherham. It was the only change with Kevin Long, as predicted, taking the vacant place on the bench having returned from a successful loan with League One Barnsley. Forest had lost to Huddersfield at home last time out, the defeat ending a run of 13 league games without defeat. They were determined to start another run without a loss and their approach certainly showed that they were going to be more than happy if they could return home with a point. They’d kept clean sheets in their previous two away games, winning 1-0 at both Middlesbrough, thanks for that Forest, and Leeds. The determination to keep a clean sheet was there for all to see in a first half dominated by Burnley. At times they looked to have more men behind the ball than should be allowed on the pitch, but we still got our chances and probably should have gone in at half time with a good enough lead rather than at 0-0. Andre Gray headed one effort over and was then so unlucky not to get on the scoresheet when Dorus De Vries did really well to save a brilliant flicked effort when the ball came out to him. De Vries made a couple more good saves whilst Tom Heaton at the other end should probably have been charged admission given that he was a mere spectator for most of the first half and then right on half time the Forest keeper twice saved from David Jones, parrying the balls out to safety. Sean Dyche said that at times were flippant in possession during that first half. Maybe we were, but at other times the passing and the way we moved the ball was as good as we’ve seen. It’s just sometimes, against a side playing with no ambition, it needs that little bit of good fortune which didn’t come our way. Forest boss Dougie Freedman got it half right in his summary of the game. He said we were the better side in the first half and he got that right. He then believed his side had been better than us in the second half and that simply wasn’t the case. They were better and we did get a bit sloppier with the ball. Even Joey Barton was giving it away at times although alongside him his midfield partner David Jones was as good as ever in possession. During their best period, I’m not sure they actually created anything worth mentioning. When they did get into any decent situations they came up against a defence that was in outstanding form. 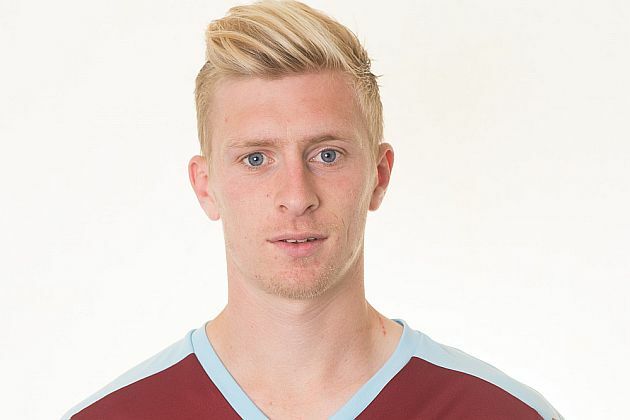 It was incredible to think that three of the back four which played the first 21 league games this season were out of the side and the other, Ben Mee, was in a different position. I’ve always been a fan of Mee. When he first came he was pushed into playing alongside David Edgar at the back, Eddie Howe preferring the Canadian to Michael Duff, and that cost him. He settled into the left back position afterwards but since Boxing Day has been back in the centre and has been outstanding. Last night I think he played as well as I’ve ever seen him play, aided by his team mates who were all themselves in top form at the back. So well did they play that the closest Forest ever got was Jamie Ward hitting a lot of balls way over the bar from distance, at least he didn’t get a red card this time. By midway through the second half I was getting concerned that we might not get a breakthrough, and then it came when least expected. It took Sam’s league tally this season to nine and his goals, right now, are winning us plenty of points. Boyd and Gray both fired shots just wide afterwards but the most pleasing thing of all was that the game was won; Forest not once threatened to get back into the game. I thought we were outstanding in the last twenty minutes in terms of ensuring the points were ours. I had to laugh this morning when I read that Forest’s Chris Cohen had suggested a 5% improvement in their play could have swung the game in their favour. I know sometimes players have to tell fans what they want to hear, but that’s stretching things. They had one shot on target and I’m hard pushed to recall that to be honest. They were second best on the night and not by 5% either. So, another win for Burnley and another clean sheet. I’ve read that the last time we kept four successive clean sheets was almost nine years ago and it started with a game that was as bad as any you are likely to see, a 0-0 draw against Luton, the 18th of the run of 18 games without a win. We then won the next three games without conceding. That’s 24 points from ten games since the defeat at Hull on Boxing Day. It’s the best in the league, just one point more than Preston have won but five more than any other club. There are no guarantees but things are looking good right now. It’s Bolton on Saturday. Sam scored the winner there last time – is it too much to ask him to play it again once more? Burnley: Tom Heaton, Matt Lowton, James Tarkowski, Ben Mee, Stephen Ward, George Boyd, Joey Barton, David Jones, Scott Arfield, Sam Vokes, Andre Gray. Subs not used: Paul Robinson, Tendayi Darikwa, Kevin Long, Fredrik Ulvestad, Matt Taylor, Michael Kightly, Rouwen Hennings. Nottingham Forest: Dorus De Vries, Eric Lichaj, Michael Mancienne, Matt Mills, Bojan Jokic, Jamie Ward, David Vaughan (Dexter Blackstock 74), Robert Tesche (Chris Cohen 81), Gary Gardner, Ben Osborn (Jorge Grant 82), Nelson Oliveira. Subs not used: Dimitar Evtimov, Kelvin Wilson, Jack Hobbs, Chris O’Grady. Attendance: 15,517 (including 882 from Forest).